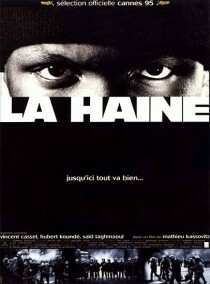 Mathieu Kassovitz’s La Haine a.k.a. Hate follows three immigrant friends – a Jew, an African and an Arab – who live in a poor district on Paris’ outskirts. The central theme of the film is the social marginalisation of such people and the anger it helps create. Intense central performances by Vincent Cassel, Hubert Koundé and Saïd Taghmaoui, outstanding cinematography by Pierre Aïm, and assured direction by Kassovitz all go towards making this drama a landmark of contemporary French cinema. This was a really confronting film for it’s time. How good was the La Haine soundtrack?